About 25 miles east of the Washington state coast, where the Sultan River meets the Skykomish, and Highway 2 rambles eastward toward Stevens Pass and the Cascade Loop, lies the old prospectors' stop of Sultan, WA, population 4 to 5 thousand people. 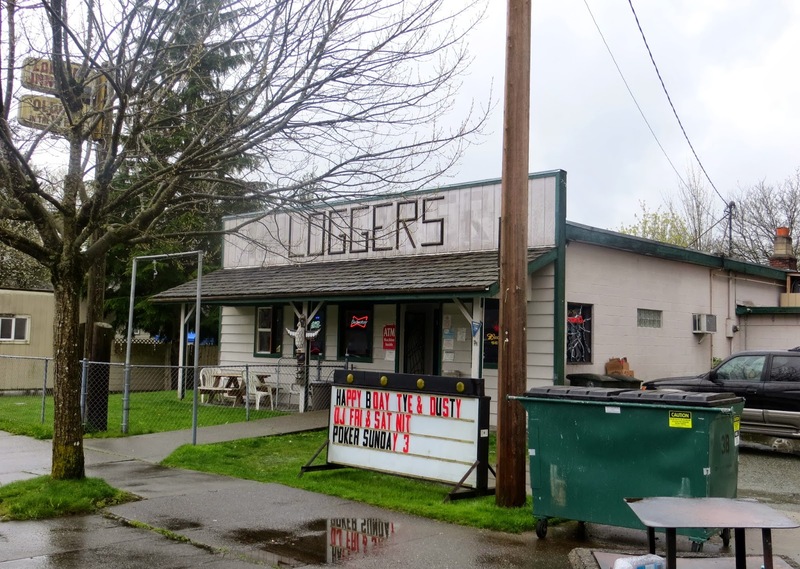 There, hidden just off the highway, is a modest looking building with a residential-looking chain-link fenced yard and "LOGGERS" written across the facade in unrefined, block letters. Inside the Loggers Inn (AKA "Loggers Tavern," "Loggers Bar," or just "Loggers") is an inviting, old, neighborhood bar with a friendly, lively crowd, and a beautiful, antique back bar. In 2007, Leo Moreno left his job selling cars in California and bought the place, and if he doesn't make a long go of it, it will not be for lack of activity. Loggers now has DJs, games on the big screens, beer pong, poker, darts, golf tournaments, karaoke, SeaGal appearances, birthday celebrations, and various other events. But Loggers also preserves the past with the signs on the telephone pole out front, the old floor on the east side, funky light fixtures over the bar, and the great back bar. I talked to regulars like Randy and Garrett, and some of them told me about when they helped save the bar when the water from the flooding Skykomish was calf high. It's very difficult to tell how old Loggers actually is. While the front was rebuilt in 1976, Leo believes the eastern portion of the building, which once served as a brothel, goes back to the 1880s, all the while under the Loggers name. County tax records do not date the older structure. 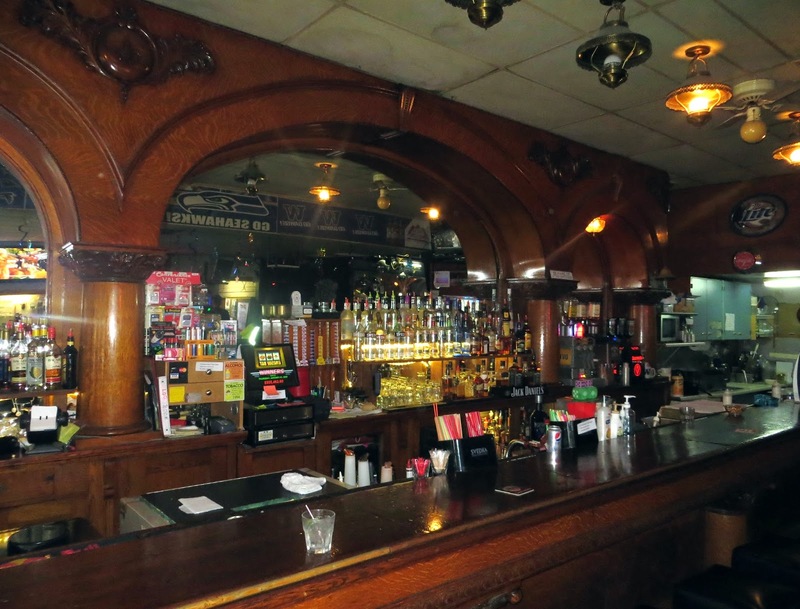 As far as the back bar itself, Leo says it is half of a Brunswick bar that came around the cape in the 1880s, to a bar once across the street, and was later split down the middle (lengthwise) with half moving into Loggers. Leo thought the other half may have been in the J&M Cafe in Seattle, but this is not the case, as that bar (which now resides in "Harry's Bar" on Capitol Hill) is quite different. There is a very similar bar in The Shire in Chehalis, however the capitals are clearly different. 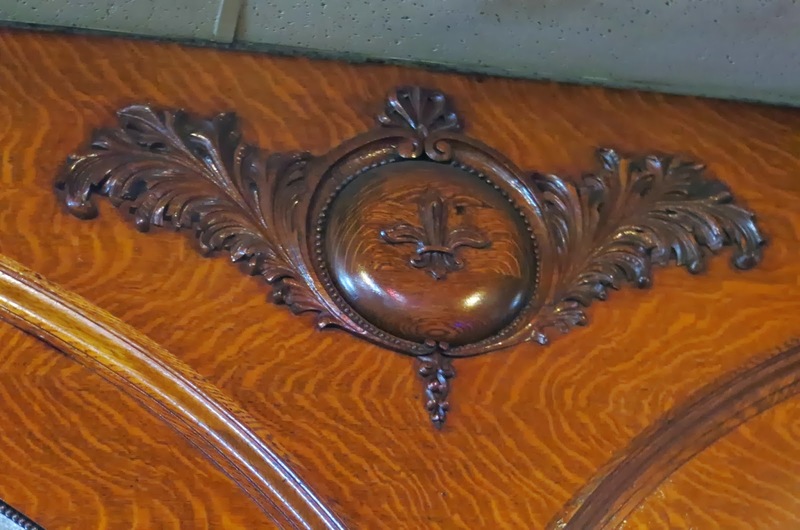 I was not able to find a similar bar in any of my pictures from old Seattle bars (including old J&M neighbors the Central and Merchants), however I was able to find photos of very similar bars in Colorado and Arizona. 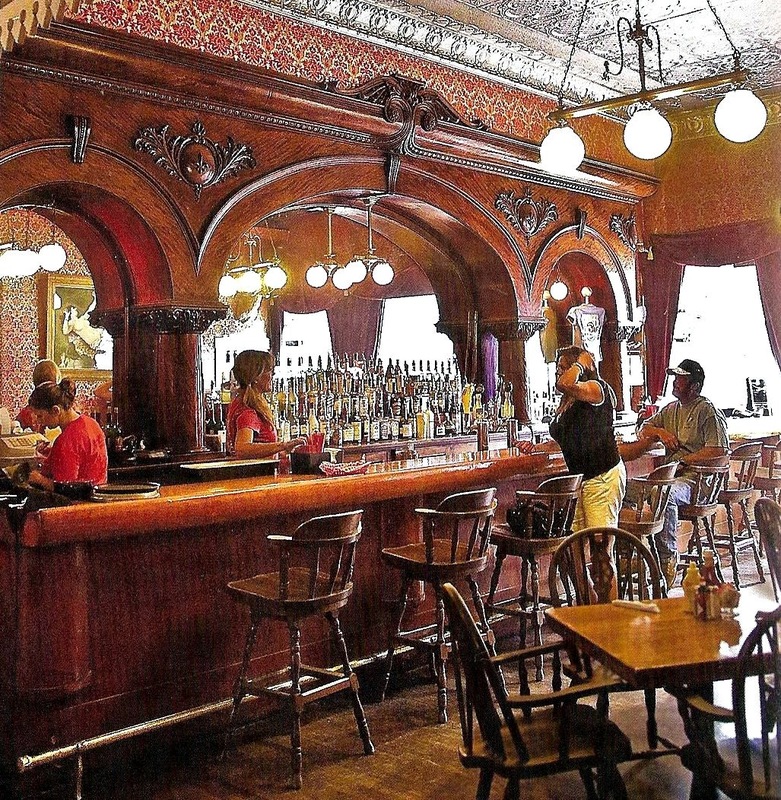 In "Hoist a Cold One: Historic Bars of the Southwest," author Melody Groves and photographer Myke Groves feature photos of two bars that look pretty much identical to each other -- and look to me almost exactly like the Loggers bar with the exception of the top piece. I.e. 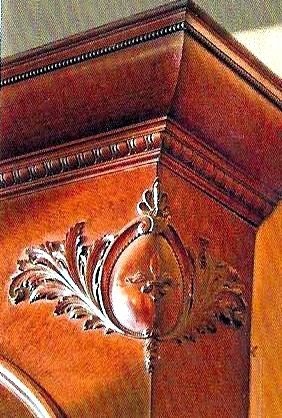 the Loggers bar looks like these with the portion starting at the egg and dart beading simply left off, or possibly later removed to fit in the new location. 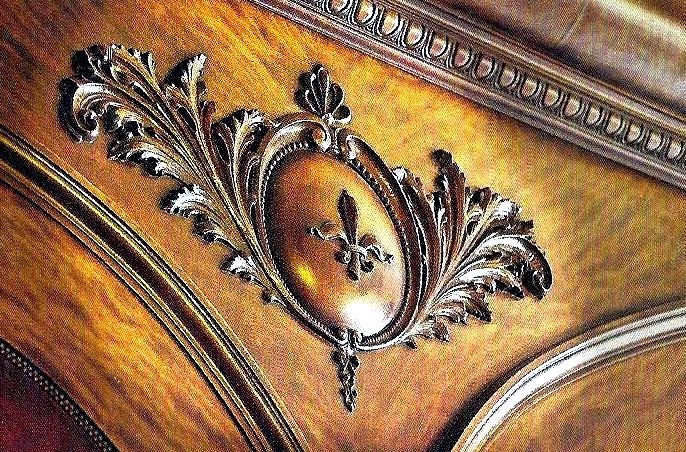 The fleur de lis applicques, the beading along the inside of the spandrels, the capitals, and the basic forms all look alike to me. Curiously, the owners of the bars in Arizona and Colorado give very different origins for what look like identical bars. 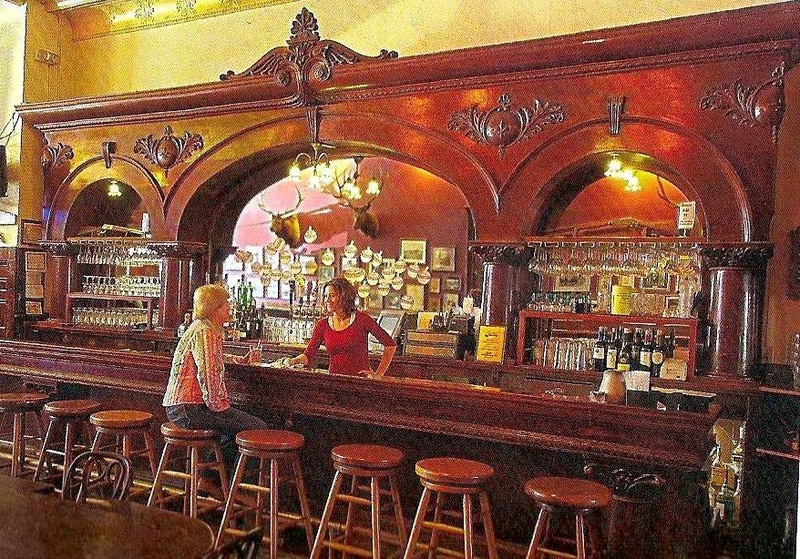 The bar in Grumpy's Saloon in Silverton, CO is said to be ordered from a Sears, Roebuck and Co. catalog and assembled in 1901, while the strikingly similar bar in The Palace in Prescott, AZ is said to be a one of the many Brunswick-Balke-Collender bars from the late 19th century. I suspect one of these simply inherited an inaccurate story over the years, most likely the Sears story (although Sears did indeed sell this general style of back bar at the time). I have taken the liberty of including some limited scans of these bars for comparison, which do not do justice to the fine photos in this lovely book. If anyone knows another location in Seattle or Washington that features a bar like these, I would love to hear from you. So, the lotus cardroom in Portland has a very, very similar back bar. The place is being torn down, but the McMennamins have reportedly bought the bar. The owner of the lotus claims it came from Chicago, around the horn, to Yakima, and then eventually to portland. 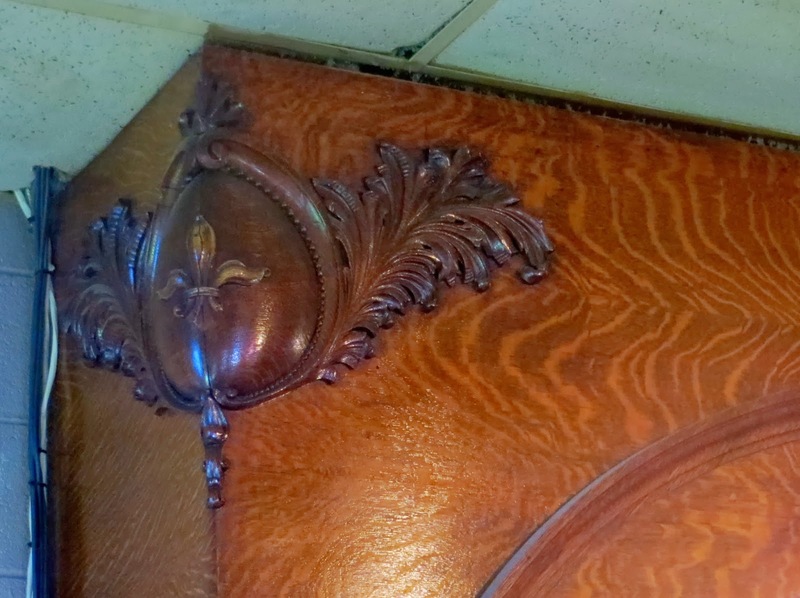 article here: http://www.portlandmercury.com/locations/69368/lotus-cardroom-and-cafe.